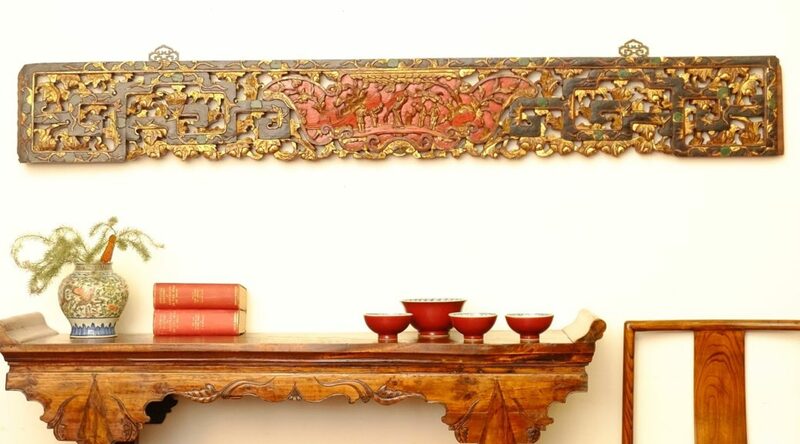 #13474 This antique carved panel dating from the early 1900s is made from camphor wood and comes from Fujian province. It is 190 cm long and 30 cm high. #13474 A closer view of the fine carving. 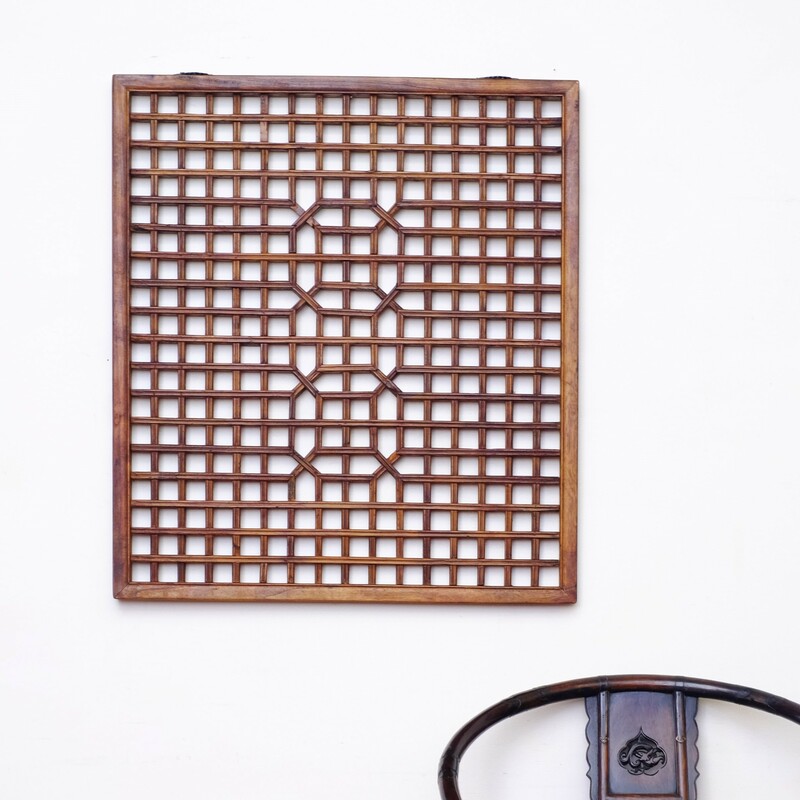 #15038-1 This simple but elegant panel dating from the late 1800s is made from poplar wood. It comes from Hunan Province. It is 90 x 90m cm. #15038-1 A close -up view. 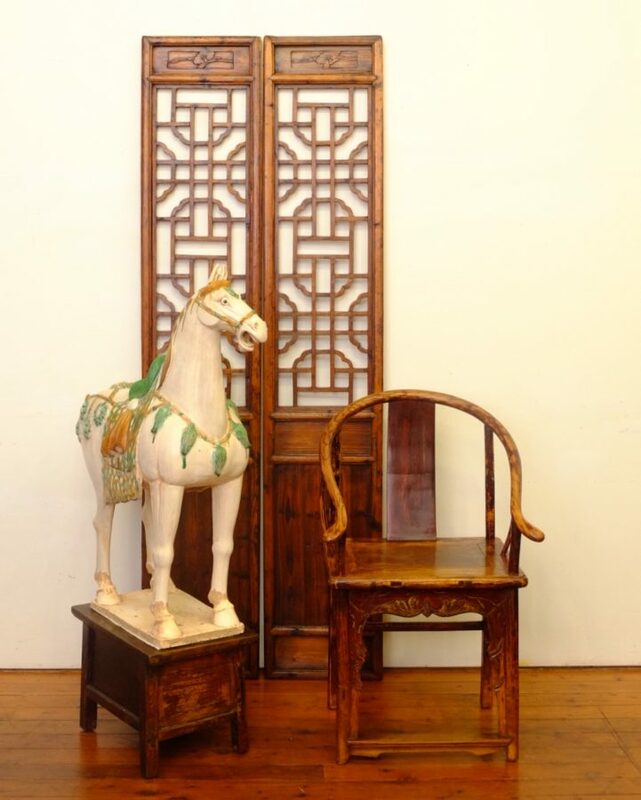 #810089-1/2 This pair of standing doors dating from the early1800s would make an impressive feature on a double height atrium wall. Made from fir wood, each is 273 cm all and 34.5 cm wide. #15038-2 A closer view of the geometric pattern. 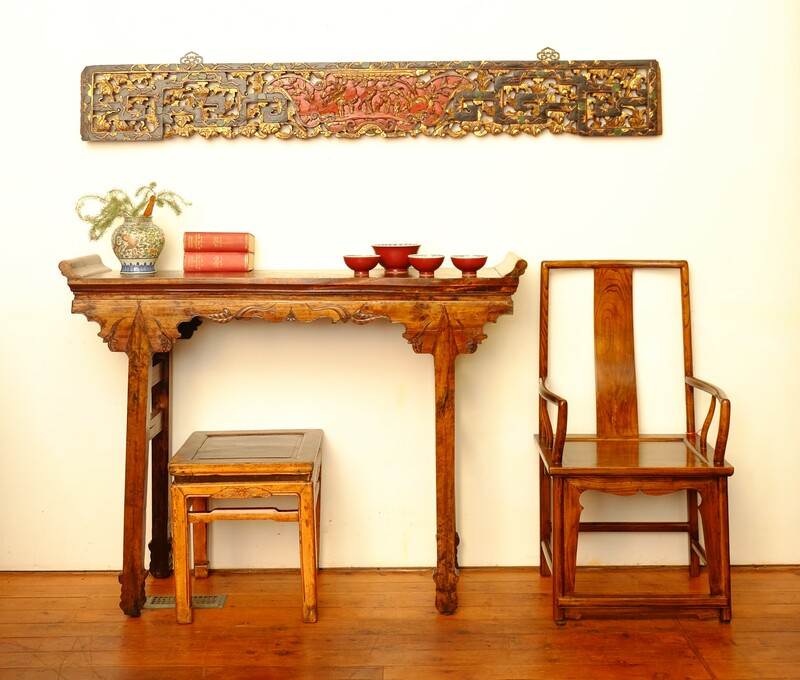 #15038-2 This small panel dating from the late 1800s is made from poplar wood and comes from Hunan Province. 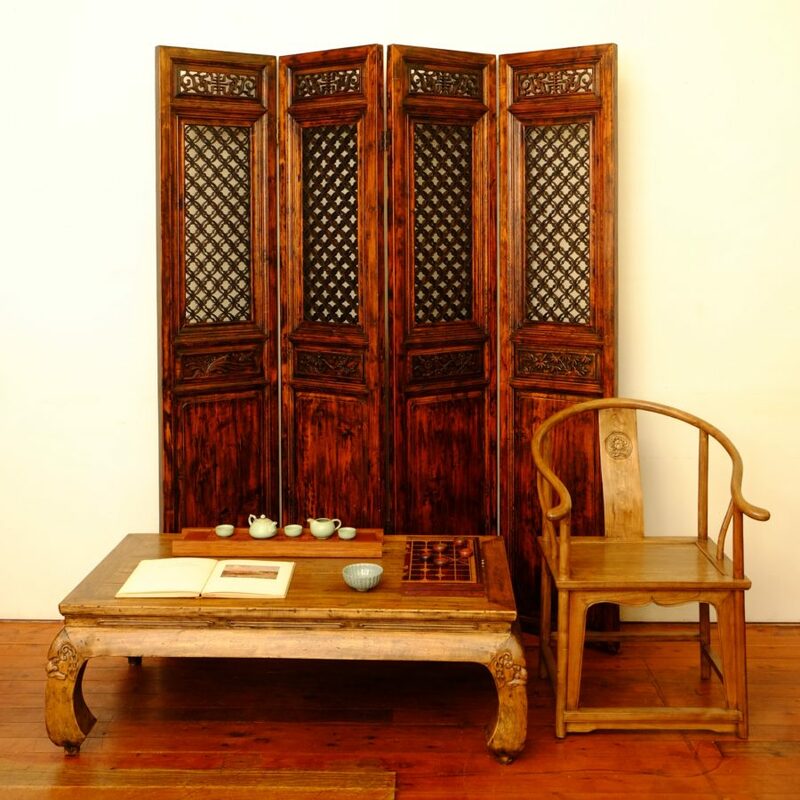 #810114 This pair of northern Poplar wood panels are from Shanxi Province and date from the mid-1800s. Each is 215 cm tall and 40 cm wide. 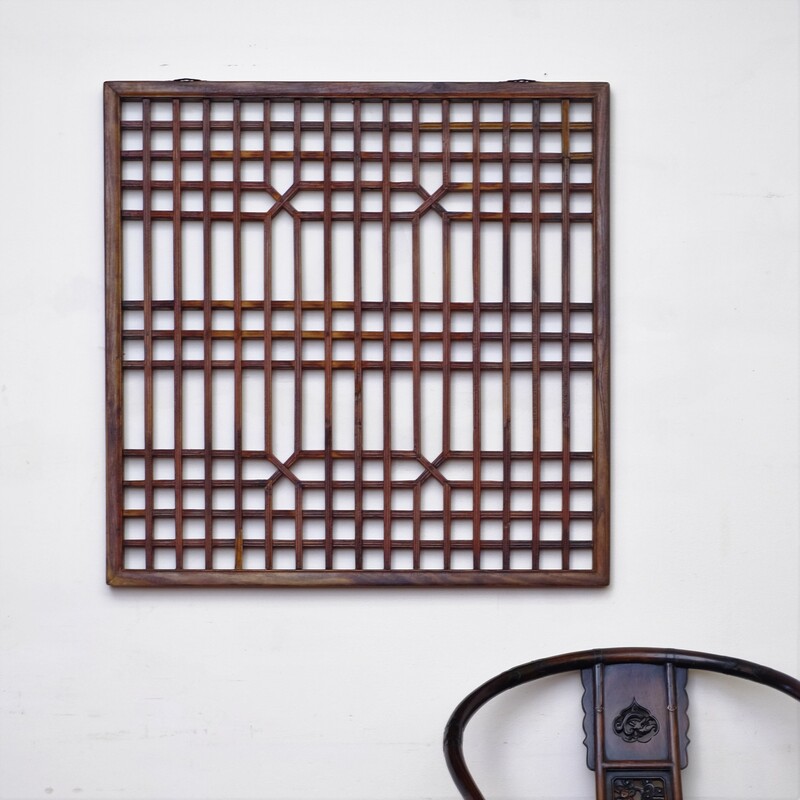 #810114 Each panel can stand alone as a decorative element in a room..
#810088 One of four lattice doors in northern elm from Shanxi Province. 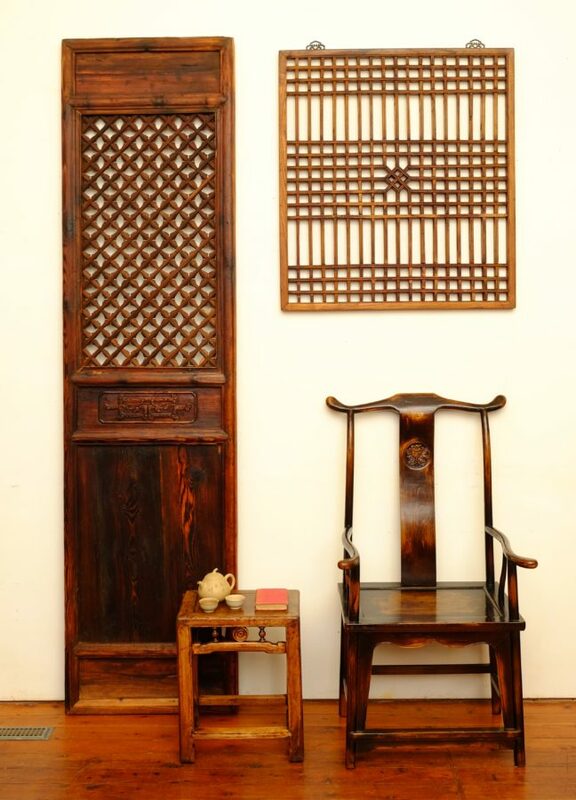 Dating from the early 1800s, each is 254 cm tall and 65 cm wide. They could be used individually or joined to form a screen. #91008 These four panels can be combined to form two 2-panel folding screens, one 3-panel screen or one 4-panel screen. Each panel is 222 cm tall and 48 cm wide. 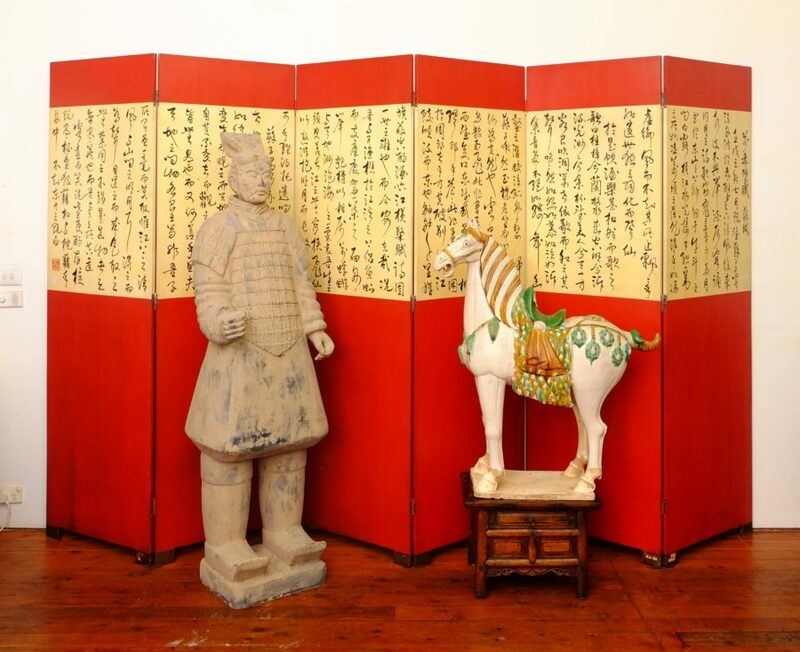 # A 6-panel painted folding screen featuringa Sung dynasty poem. 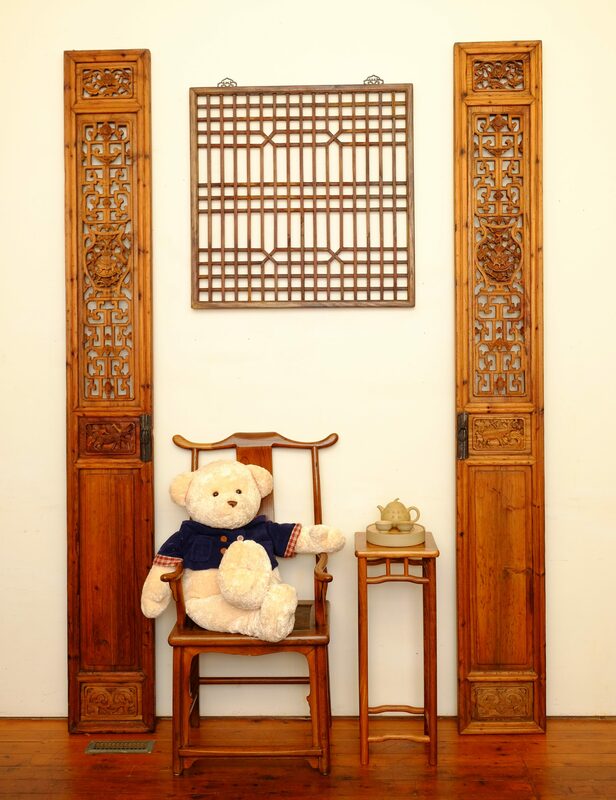 Each panel is 208 cm tall and 63 cm wide. 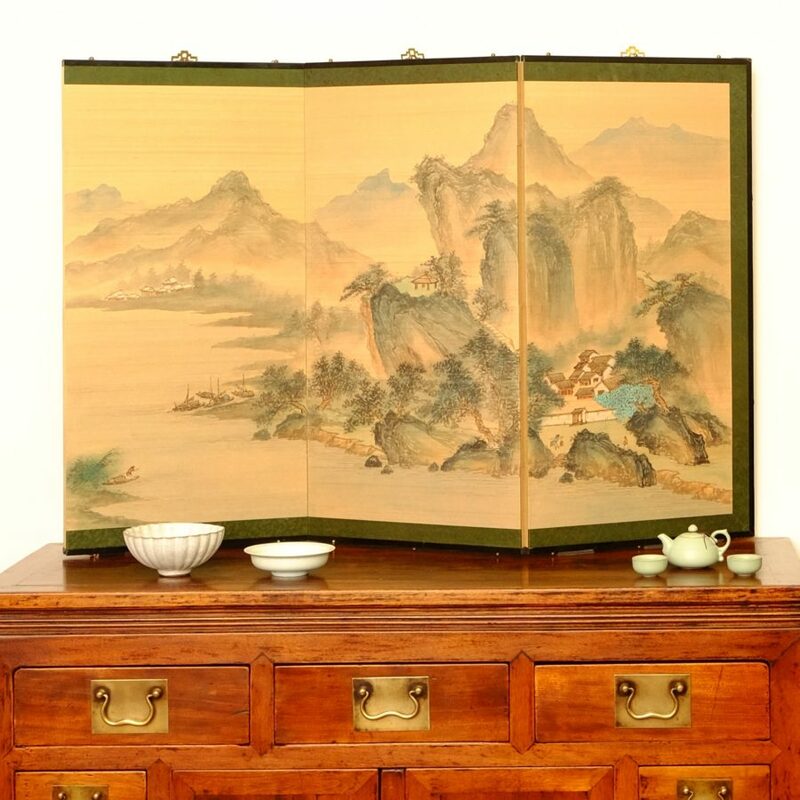 #17010 A low 6-panel folding screen showing an attractive view of traditional mountain scenery (three left-hand panels). 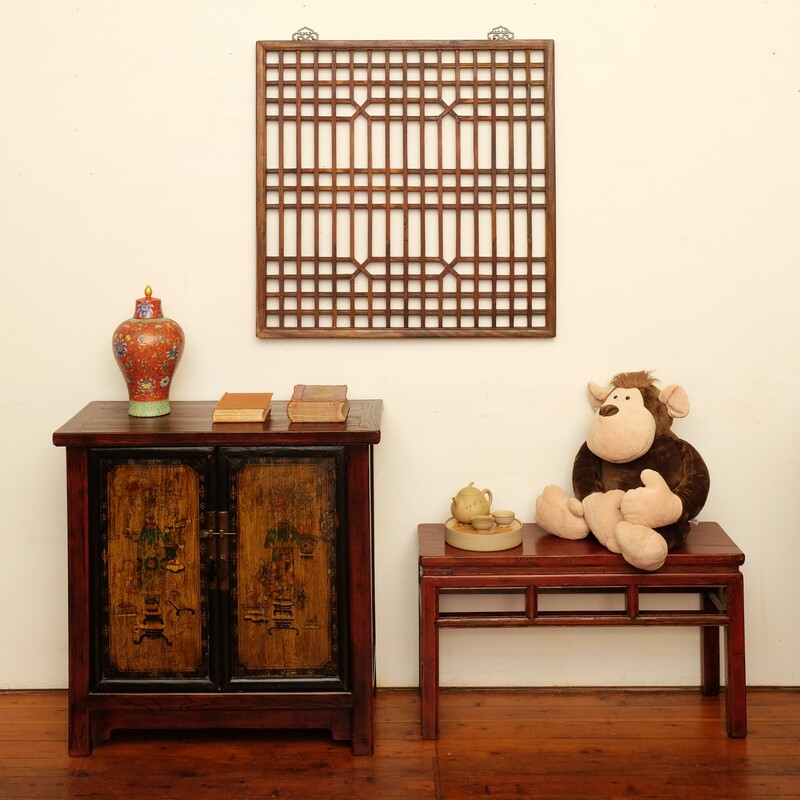 Each panel is 92 cm tall and 45 cm wide. 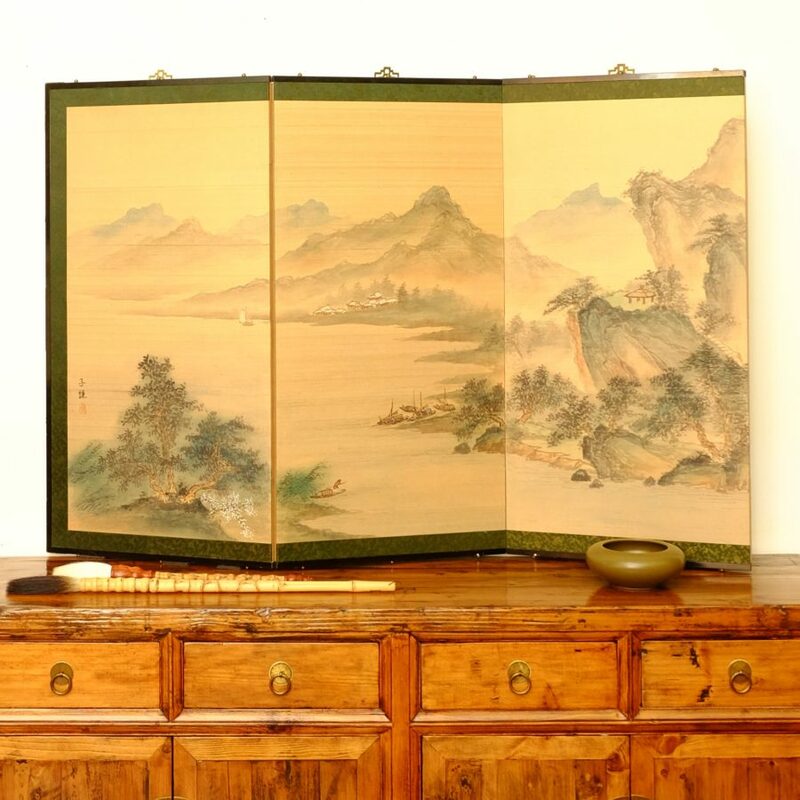 #17010 A low 6-panel folding screen showing an attractive view of traditional mountain scenery (three right-hand panels). 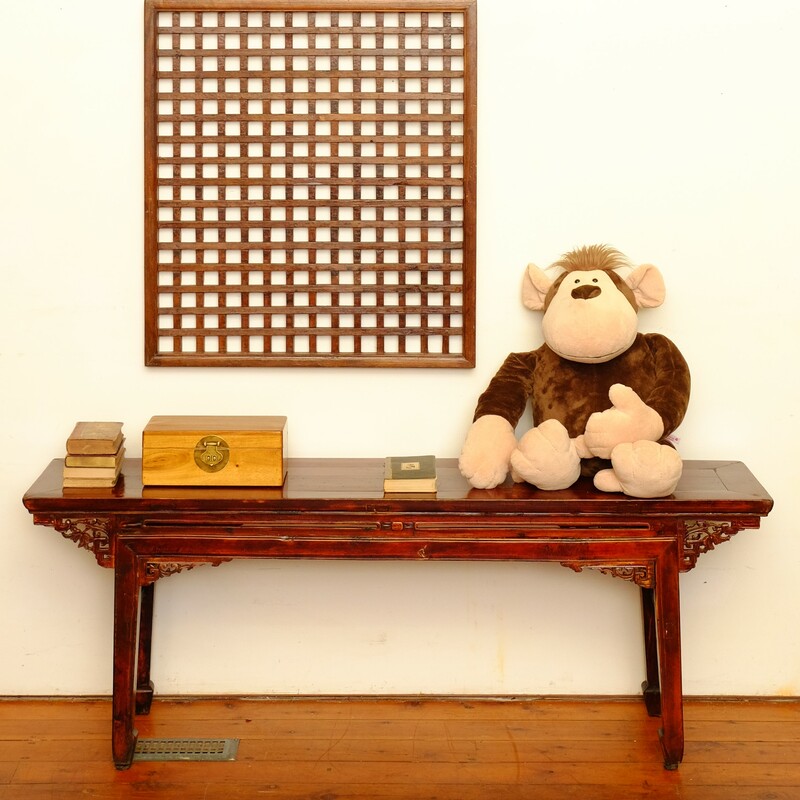 Each panel is 92 cm tall and 45 cm wide. Furniture with Character! 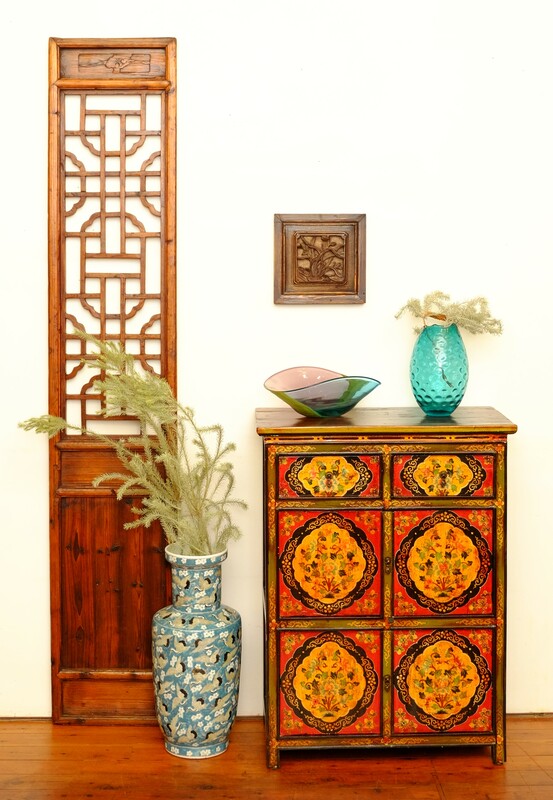 Give your home a treasure with that special piece of furniture you've been looking for.